Colorado Springs Sciatica Treatment Keeps Man "from the Knife"
Sciatica can take your quality of life from an 8 to zero quickly. Simple tasks like walking around a store have to be done in shifts. You may find yourself leaning on walls throughout the day, dragging your leg, shifting around in your chair, and even hobbling or leaning forward. Thankfully, there are highly-effective natural, noninvasive options that can help you "Get Your Life Back!" 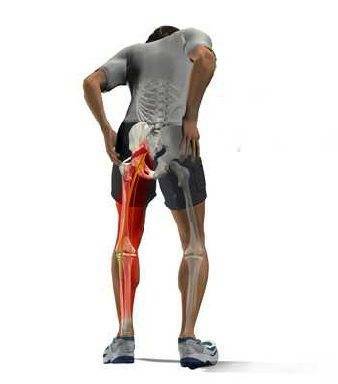 Sciatica is the name given to symptoms caused by pressure on the Sciatic Nerve. Removing the pressure will alleviate the pain. At the Back Pain Institute of Colorado Springs, we use low-risk, affordable care treatments like chiropractic, physical therapy, massage, muscular stabilization, and FDA-approved cold laser and spinal decompression to get you back to doing the things you love, with the ones you love. The video below is the true story of a Colorado Springs patient, the son of a medical doctor, who suffered from Sciatica, and chiropractic care in conjunction with spinal decompression kept him "from the knife" - in reference to surgery. Prior to being fixed by chiropractic, Jim tried the traditional medical route by going first to a Harvard-trained neurologist who administered pharmaceutical injections. But these treatments afforded temporary relief, and because they degenerate soft tissue over time, he could only have so many shots before he had to undergo surgery. As the son of a surgeon, he knew that no surgery is "minor," and he elected to give chiropractic a try. Sciatica is characterized by a burning in the hip region and/or shooting pain down the the leg, and sometimes into the foot. Overtime, this pain causes the body to compensate to alleviate the pain, as you see this man leaning forward.